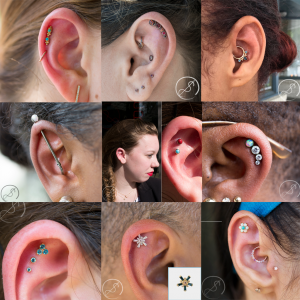 What exactly are “curated ear piercings”? This new terms comes from a video that’s been making it’s rounds on social media recently. It’s term that seems to me making both those interested in piercings and professionals scratch their heads a bit. For those seeking a unique piercing, you see the term “curated” and wonder what it means. Is it a specific piece of jewelry? Specific combination of piercings? Actually, it just seems to mean that the piercer takes a moment to look at your anatomy and the jewelry options the studio offers and gives advice. It could be anything from a simple, well placed lobe piercing to an elaborate multi-piercing project with custom jewelry. 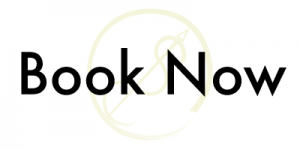 For pros like us that offer top quality service and jewelry, we’re kind of going “haven’t we been doing this for years already?” At Piercing Experience, we have a full anatomical and jewelry selection consultation for each piercing we do. Every single one. We consider it a necessary part of providing a great piercing procedure and making sure it’s something that will work with your anatomy and lifestyle. Additionally, with the myriad of jewelry options now available, we want to take the time to help you select the perfect piece. For most piercings this is included in the standard piercing appointment. The only exception would be planning for an elaborate project with custom jewelry, where we’d need you to come in for a separate planning session (this is very rare). Because these aspects are part of the piercing service we’ve always offered, we never thought to give it a special name. But now we can officially say that all of our piercings are “curated”!